As early as 1866, the Army decided that a Soldier found competent to teach common school subjects should be detailed to do so under the auspices of a local chaplain who often served as the schoolmaster. That meant that the assistant cared for the chaplain's official property, acted as his clerk and helped with the educational, religious and entertainment programs. The official Military Occupation Specialty (MOS) of chaplain assistant was established by General Orders No. 253, War Department, Washington, D.C., on 28 December 1909, paragraph 1, which read Aca,!A"One enlisted man will be detailed on special duty, by the commanding officer of any organization to which a chaplain is assigned for duty, for the purpose of assisting the chaplain in the performance of his official duties.Aca,!A? Although high moral character was required, there were no other prerequisites or generally recognized criteria for performance. In 1927 and again in 1933, the chaplain corps made overtures to the Secretary of War to provide a small corps of specialized enlisted assistants. This effort was unsuccessful. The job continued to have no vocational integrity until after World War II. The Korean War saw the development of the MOS 7lB. After almost one hundred years of vague existence, there was a job for the chaplain assistants. Training began at Fort Dix and Fort Ord with a four-week course. All trainees were volunteers who had successfully completed the nine weeks of basic combat training and nine weeks of clerk typist AIT. In August 1965, during a major revision of Army Regulation 611-201, chaplain assistants were designated 71M, given a job description and specific skill requirements. 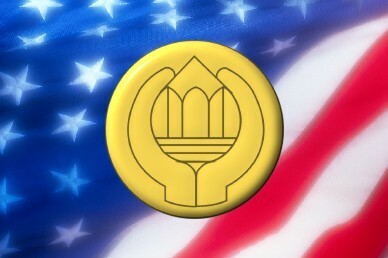 The next year the chaplain assistant schools were merged into the US Army Chaplain Center and School (USACHCS) at Fort Hamilton. During 1972, the 71M was implemented into the Non Commissioned Officer Education System (NCOES) and was accorded the same degree of professionalism as other enlisted specialties. Since 1974, the chaplain assistant and the chaplain have come together forming the highly professional Unit Ministry Team (UMT) concept. On 1 October 2001, the chaplain assistant MOS changed from 71M to 56M. Chaplain assistants now serve in a "stand alone" Career Management Field. They team up with chaplains around the world to provide religious support to Soldiers and Families across the full spectrum of military operations.